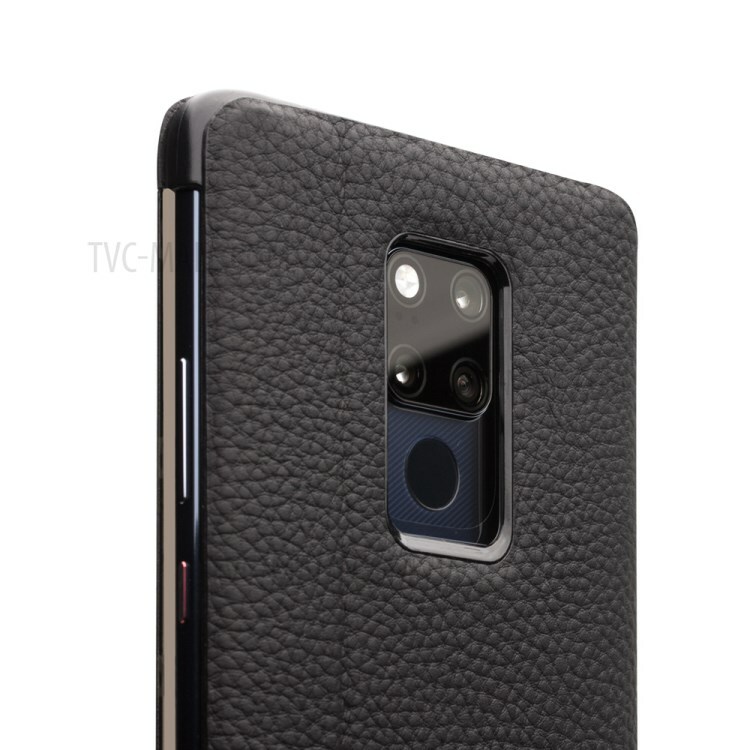 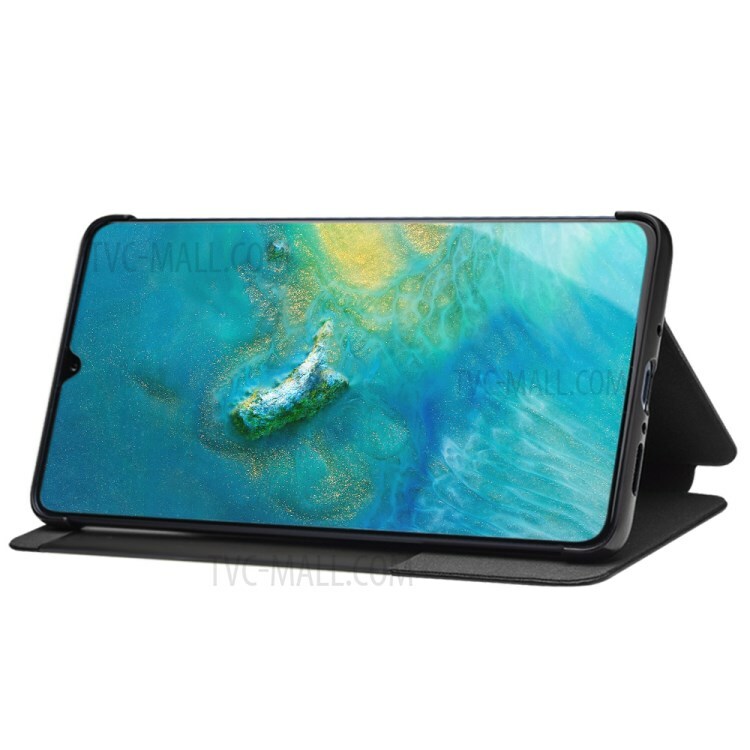 For just $ 16.83 , buy QIALINO View Window Genuine Leather Phone Case with Stand for Huawei Mate 20 X from the wholesale webshop online. Made with premium Cowhide leather outside, sleek and genuine leather feeling, non-slip grip; snap-on cradle will not scratch your iphone shell. 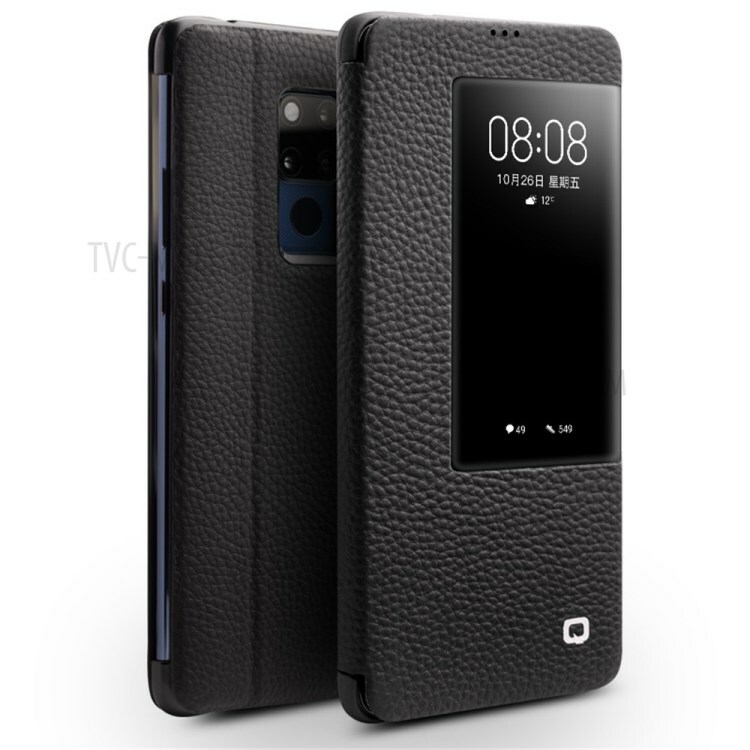 The case surrounds all the edges, cover the whole phone with a full body protection on front and back. 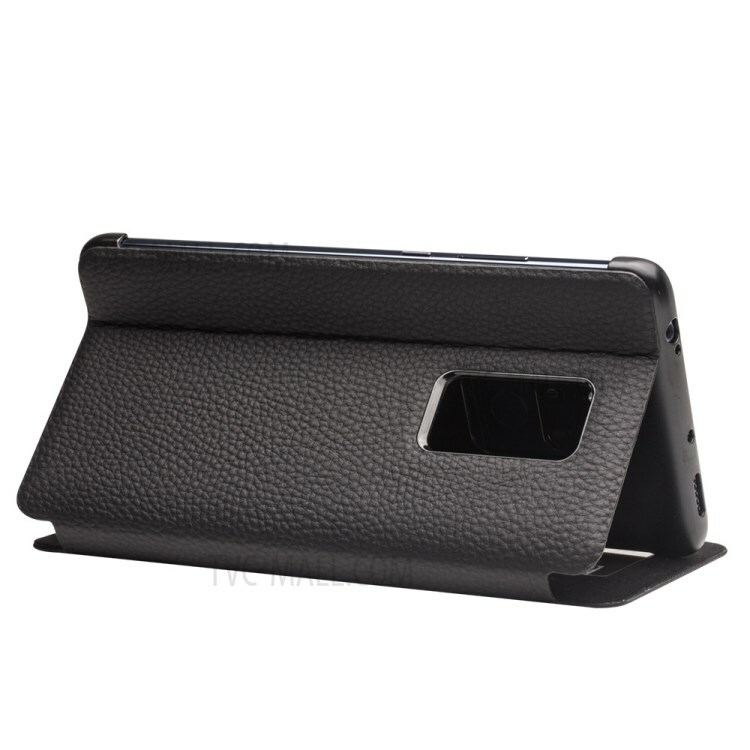 Built in stepless stand while folding into a kickstand position to watch videos hands free, magnetic closure to auto lock the case. 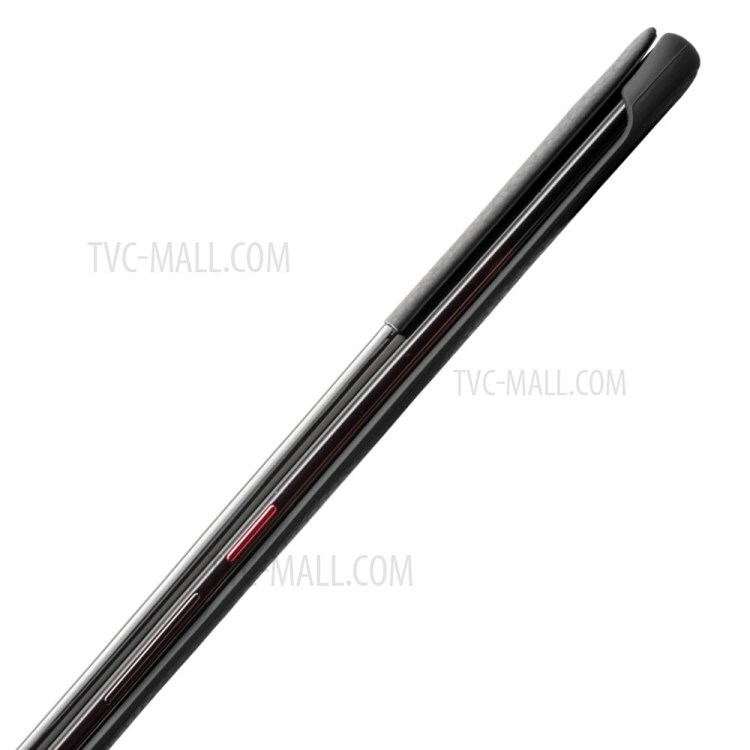 Viewing window, able to see some information like incoming calls, messages, time without case open.